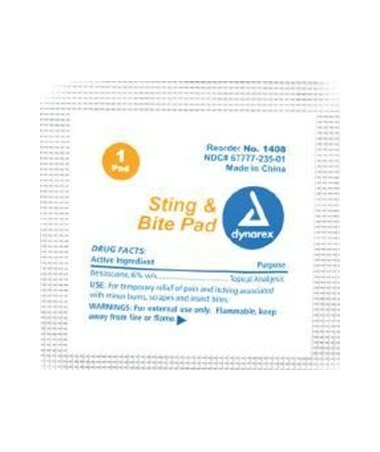 Dynarex Sting & Bite Pads are the perfect size to accomplish the task at hand. These handy little 2.5" x 1.5" individually packaged sting & bite pads are pefectly convenient for easy portability. Dynarex Sting & Bite Pads are gentle and non-stinging. They provide instant relief from irritating insect stings and bites. Easy to carry along in purse, satchel, wallet or bookbag. 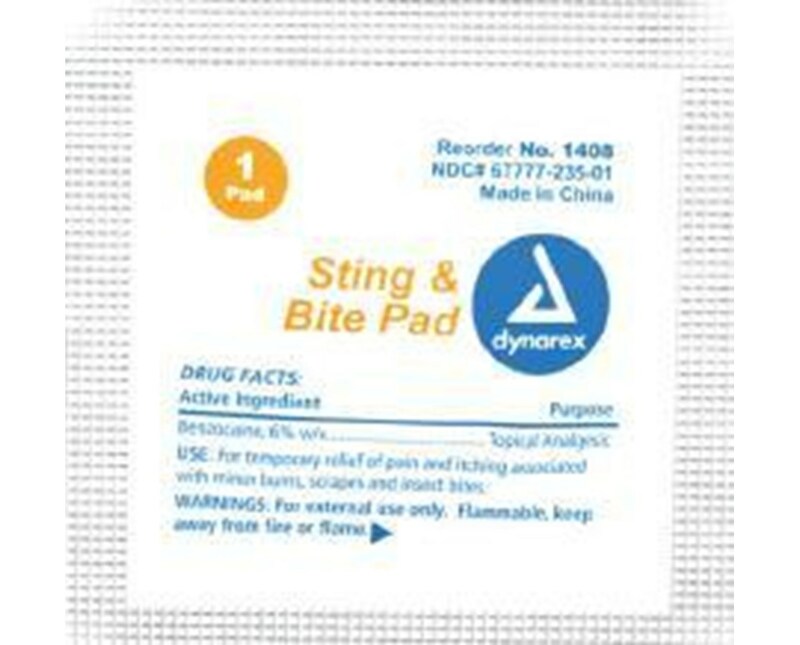 Take Dynarex Sting & Bite pads along on your next family outing or picnic. A necessity for your First Aid kit. Always be prepared with Dynarex!